My Recommended Books - see my TOP 10 picks! My Recommended Books will save you time searching for the best! Book reviews from trusted reviewers save time! If your goal in life is to be a learner and read books to further your nutrition and healthy foods education, you have come to the right place! I am an avid reader of all books related to any aspect of food, and habits relating to food! I want to save you precious time by recommending those books that I have found to be amazing reads! Reading is a healthy diet habit for sure! The more you know, the more you can eat. Healthy, delicious foods are your friends, when it comes to weight control! Here are my current Top 10 favorites: You can purchase each of these books directly below from Amazon.com, or through my Healthy Diet Habits Store. "Mindless Eating" by Brian Wansink, P.H.D. "The Fat Resistance Diet", by Leo Galland, M.D. "The Portion Teller – Smartsize your way to Permanent Weight Loss", by Lisa R. Young, Ph.D., R.D. "The G.I Diet Clinic – A 13 Week Plan for Permanent Healthy Weight Loss", by Rick Gallop. If you plan to make for weight control and health, you need to educate yourself. The best way to do this is by reading, reading, and more reading! Some of eating right is intuition, but many healthy diet habits are learned! 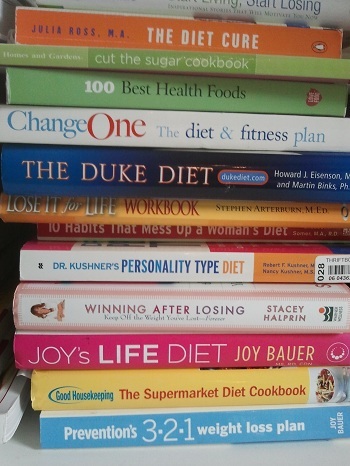 Each one of these books will be helpful in teaching you different weight control strategies! Each is chosen because they are practical and not just useless information! 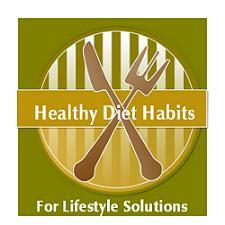 For over 200 more of my Recommended Books, please check out the Healthy Diet Habits Store! 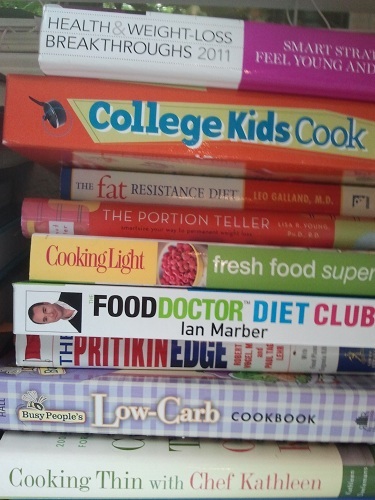 Also See: My Top 10 Recommended Cookbooks!